Do you love to dance or simply enjoy having a bop? 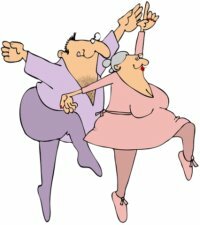 A fun sociable class to improve fitness, strength and stamina working with a wide range of music, rhythms and dance styles. Meet in the Prince of Wales room. Please wear loose clothing and thin non slip shoes (dance pumps or bare feet) and bring some water.